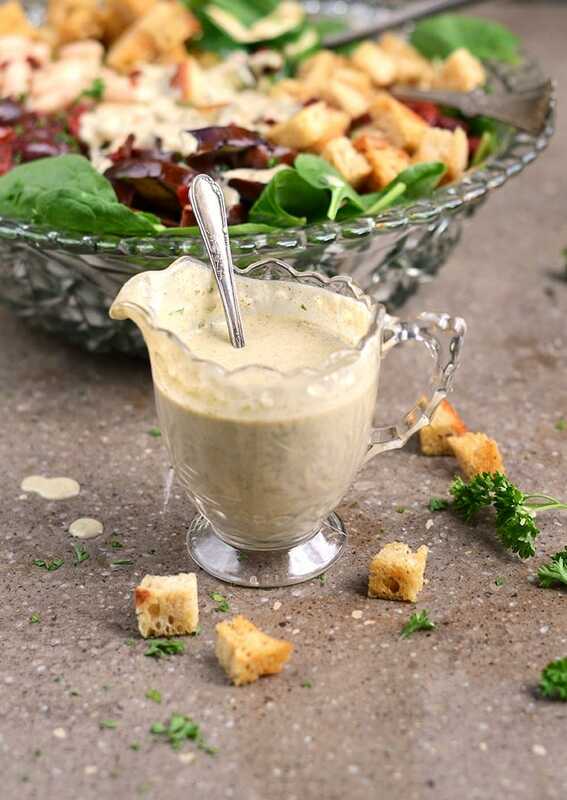 This Vegan Creamy Italian Salad Dressing has all of the flavor and none of the compromise! 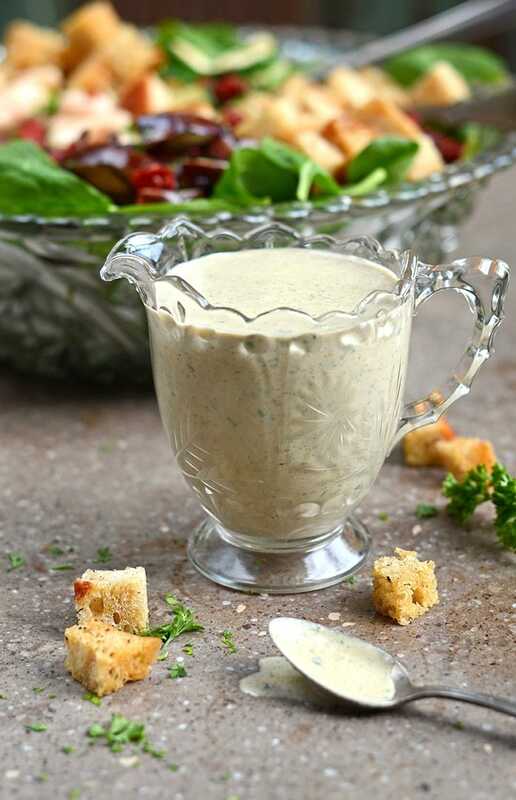 Wow your taste buds with this Vegan Creamy Italian Salad Dressing. It’s thick, herb-y and so much more nutritious than the sugary store bought kind. It’s been a long time since I’ve purchased store bought salad dressing. They contain so much sugar. In the store, I checked about 10 brands of creamy Italian salad dressing and almost all of them started with water and sugar. Then there are all the other additives like MSG, Polysorbate 60 and EDTA. I get that convenience matters because we are all busy. But the truth is that making homemade salad dressing is not time consuming. 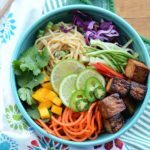 So, when the choice is between topping your healthy salad with a sugary, chemical laden dressing or spend a few minutes making one from scratch, is there really a choice? 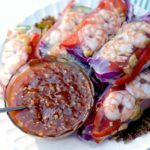 Because it’s January and so many folks are watching their calories, I took this recipe a step farther by making it vegan. Before all you meat eaters tune out, you should know that almonds replace the typical mayo or buttermilk that makes creamy Italian salad dressing, well, creamy. And no flavor is lost in the process. 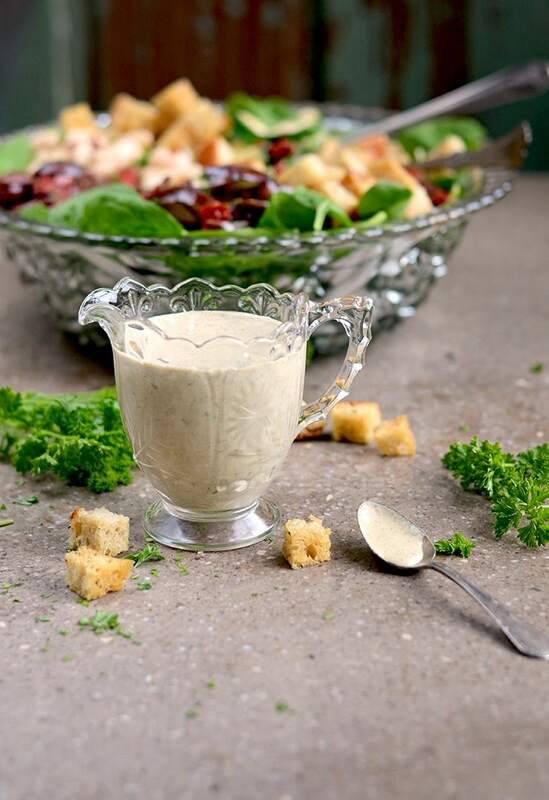 The almonds make the dressing thick and luscious without the need for emulsifiers. What else is in this recipe? Simple things like extra virgin olive oil, white wine vinegar, fresh garlic and spices. 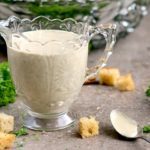 What you’ll love about the taste of this Vegan Creamy Italian Dressing is that it is full of rich flavor, so a little can go a long way on your salad. Great when you’re counting calories. This delicious dressing is a quick and easy recipe to make at home. Combine warm water, almonds, Italian seasoning, dried basil and chili flakes and let soak for 15 minutes. Place almond mixture in a blender and add in garlic, shallot, olive oil, vinegar and sugar. Add fresh parsley and pulse. 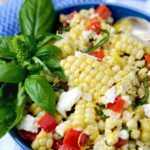 In just 20 minutes you can put together this healthy corn salad. It features seasonal ingredients and a simple lemon dressing. Follow the tips below for cooking the most tender corn.